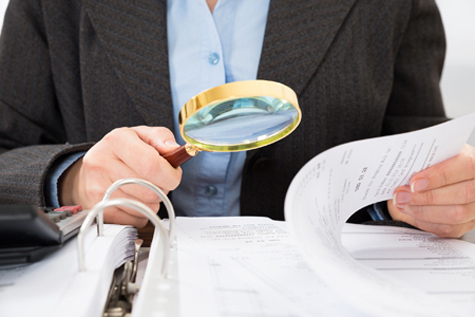 With LRBAs and TBAR two of the major focus areas for the ATO this year, the tax office has announced plans to contact trustees with high concentration risk in their funds and toughen its stance on misreporting. ATO assistant commissioner Dana Fleming said that while there are a few different areas that the ATO is monitoring following the reforms to the superannuation sector, riskier limited recourse borrowing arrangements (LRBAs) and failures with reporting under the transfer balance accounting reporting regime are two areas it rates as medium or high-risk. Ms Fleming said that the ATO has concerns about the existing population of SMSFs that may have entered into LRBAs on the basis of poor or conflicted advice, as seen recently in the royal commission and ASIC reports 575 and 576 that were released last year. “The main point that I’d like to make here is that 95 per cent of LRBAs are for real property, and 30 per cent of them are secured with personal guarantees, which means that the personal assets of the SMSF members are at risk if they are unable to meet the obligations of that LRBA,” Ms Fleming said. Ms Fleming said that the ATO’s response in this area will partly depend on the outcomes of the report to be handed down by the Council of Financial Regulators on whether the use of LRBAs poses risks and the upcoming election. “In the interim, however, we do think there are some risks in the current population. Trustees are legally obliged under the SIS Act to consider appropriate diversification and liquidity risk within their SMSF,” she noted. While Ms Fleming acknowledged that the 2018–19 financial year has been a transitional year for the SMSF industry in terms of transfer balance account reporting, the ATO has identified a couple of areas of concern. “We have found high levels of re-reporting after the ATO has already issued a determination or a commutation authority,” she said. In most cases, she said, the re-reporting has either amended the starting value of the pension, reported a commutation of a pension on the same day it started or removed the pension completely. “We’ve revoked around 40 per cent of commutation authorities as a result of re-reporting,” she said. Another problem area is the reporting of capped defined benefit income streams. “In 2018, around 86 per cent of the SMSFs reporting a capped defined benefit stream have failed in their reporting obligations,” she said. Ms Fleming said that it’s important to remember that even if the fund has a nil holding requirement, there is still a need to issue a payment summary to the member and the ATO. “If you think you might be in this situation, you do still need to register PAYG withholding and issue that payment summary and complete the appropriate withholding section on your activity statement,” she explained.